CBLDF has joined a coalition led by CBLDF-sponsored Kids’ Right to Read Project in objecting to restrictive book policies proposed to Delaware’s Appoquinimink School Board. The policies would red flag books based on vague standards for what is or is not appropriate for students in the system. 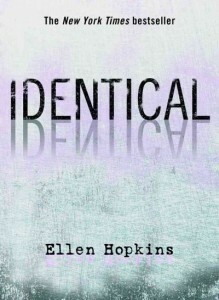 The proposed policies resulted from a parental challenge to Ellen Hopkins’ novel Identical. The parent complained that his son felt uncomfortable reading Identical, which deals with sexual abuse, in a voluntary extracurricular high school book club with mostly female members and coordinated by a female librarian. The book was not required reading, and the student could have elected to not participate, but the parent “began circulating a petition to require the school district to adopt a process for ensuring that all material was age appropriate.” In response, a rating system was proposed, requiring the labeling of books that contained “excessive” violence, offensive language, adult content, and sexual content. KRRP’s letter follows in its entirety.